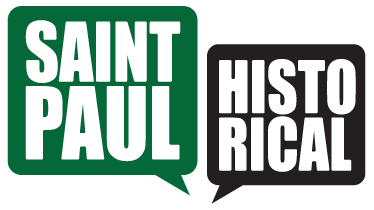 Curated by The "Saint Paul: Cultural Heritage Pass" was created as part of the "Tour Saint Paul Neighborhood Guides" series by Historic Saint Paul highlighting historic landmarks in Saint Paul's core neighborhoods. Saint Paul, with its ethnic festivals, diverse neighborhoods, cultural traditions and historic sites, wants to share its culture and heritage with the world. Saint Paul is truly a big city with small town charm. Quaint neighborhoods and family destinations are its cornerstones. Museums featuring art, history, and more make it a cultural hot spot. We've got culture - and heritage - so it just makes sense to invite you to experience our stories. 1225 Estabrook Drive // Saint Paul, MN 55103 For over 100 years, Como Zoo and Marjorie McNeely Conservatory has charmed, educated, and entertained millions while fostering an appreciation of the natural world. 240 Summit Avenue // Saint Paul, MN 55102 Take a 75-minute guided tour of the National Historic Register home of railroad baron. 345 Kellogg Boulevard West // Saint Paul, MN 55102 The Minnesota History Center is home to an innovative museum with ever-changing exhibits and a modern library. 75 Rev. Dr. Martin Luther King Jr. Boulevard // Saint Paul, MN 55155 The restored Senate, House and Court cambers and other public spaces are included on a guided tour of this architectural masterpiece designed by architect Cass Gilbert. 350 Market Street // St. Paul, MN 55102 The Saint Paul Hotel, members of Historic Hotel of America and rated four diamonds by AAA, is Minnesota's landmark hotel for business and leisure.